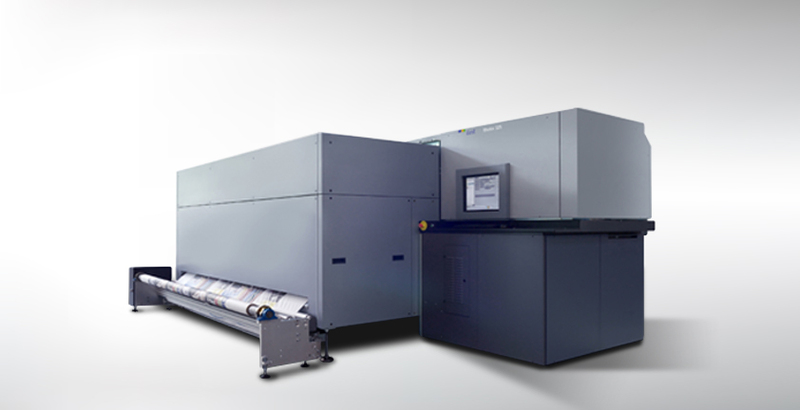 Print Service Providers know that their reputation for quality, service, and fulfillment depends to a large extent on having the most reliable equipment. That’s why Lake Graphics, Label & Sign owner Mark Tangry decided to go directly to the best when he entered the fabric business, with a Durst Rhotex 325. Owner Mark Tangry brings more than 25 years of corporate experience in sales and marketing for film materials and pressure sensitive materials, having worked for some of the largest names in the coating industry. Mr. Tangry also owned and operated a container decoration business that offered screen printing, dry offset, and shrink-sleeve application as well as pressure sensitive labels, which is still thriving today. He launched LGLS in 2009 as a vehicle wrap business and has expanded to serve a range of clients, such as multinational industrial manufacturers of medical equipment and industrial tools, retail furniture stores with over 50 locations, convenience store chains with over 300 locations, and a nationwide jewelry store chain. With all his experience, Mr. Tangry quickly realized LGLS could be a more robust company with greater customer offerings if he aligned his vehicle wrap company with his label and press background. The company’s current equipment includes 2 Xeikon digital label presses, a Vutek 3250 LX Pro UV machine, a Zünd G3 3XL 3200 cutting table, and a new Durst Rhotex 325 dye sub printer with Monti-Antonio heat calender. They have also added finishing equipment including a serger machine and the Impulsa Synchromatic for SEG graphics and banners. Says Mr. Tangry, “Our strategy from Day 1 was to be all digital. We really feel that digital will continue to make significant gains in productivity, and that is proving to be true. We also felt that our best client opportunity was to focus on large jobs for other printers and for the trade. Flexo label printers, offset printers, sign shops, print brokers, marketing firms and advertising agencies are really our sweet spot. Why Choose the Durst Rhotex 325 for Your First Entry into Fabric? “The decision was not an easy one, especially with it being a new market for us, but it is consistent with our strategy of making our wholesale customers look great by delivering excellent quality, excellent service, and the ability to take orders of any size. We produce on a very tight deadline to meet the client expectations and then do the fulfillment and ship on schedule to coincide with regional promotions. Mark Tangry talks about his experience at one of Global Imaging’s Workflow Studio VIP Events and how it led him to purchase a suite of digital textile printing equipment, including a Durst Rhotex, Monti Antonio and Impulsa sewing system.